Donald Kinsey (born May 12, 1953, Gary, Indiana, United States) is an American guitarist and singer, best known as a member of The Wailers Band, the reggae backing group for Bob Marley & The Wailers. 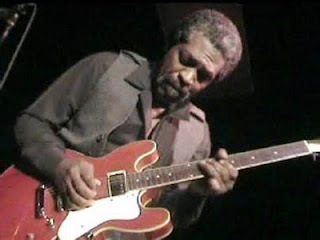 Kinsey is one of three sons of the late Chicago blues performer, Big Daddy Kinsey. He is a member of The Kinsey Report, which he formed in 1984 with his brothers Ralph Kinsey and Kenneth Kinsey, plus Ron Prince. Previously he had toured and recorded with Albert King, Peter Tosh, Bob Marley & The Wailers and Roy Buchanan.